We are suppliers of Siemens Micromaster – Masterdrive Sales and Repairs. 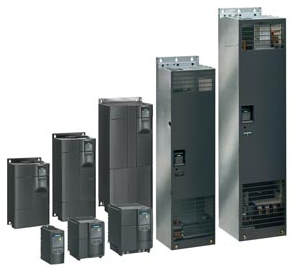 We stock AC drives and vector controllers from Siemen’s Masterdrive and Micromaster series, both new and refurbished at heavily discounted prices. A lot of these drives have now been made obsolete by Siemens and are no longer available from them. In addition we also supply lots of spares and ancillaries, such as keypads, filters, reactors, brake resistors and so on. Furthermore, we are also able to repair them to OEM standards at very competitive prices. Pro-Servo gives you the all-round great deal on Siemens Micromaster – Masterdrive, because not only do we give you significant discounts on the list prices even on new items, but we can also deliver them to you in a matter of days, whereas the OEM often offers them on a 4-6 weeks lead time. If you have a repairable faulty unit, we can often offer you a service exchange, in other words the exchange of your faulty unit with a working, refurbished and fully tested one, with even greater savings. We offer Siemens Micromaster – Masterdrive repairs, carried out to OEM standards with full functional test. The parts are not only repaired but fully refurbished, to give you a repaired item with a new lease of life. As well as being technically excellent, our Siemens Micromaster – Masterdrive repair services are very well priced as we consistently beat the OEM on price, whilst delivering the same level of quality. The following is a list of Siemens Micromaster – Masterdrive references that we either stock or repair (or both).